 Made from 300D stock-dyed polyester, our most popular material! 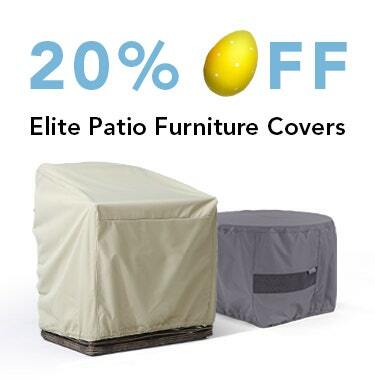 Coverstore specializes in grill covers with this particular model being just one of many covers that we carry. 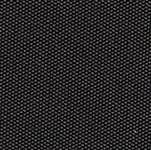 Our grill covers have been designed to fit many styles of the most popular grill brands including Weber, Charbroil, Ducane, DCS, Brinkmann, Viking, and many more. 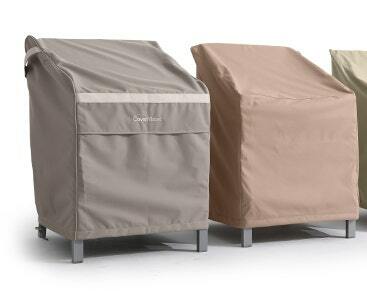 With various sizes available to choose from, chances are that you'll find the perfect cover for your grill. 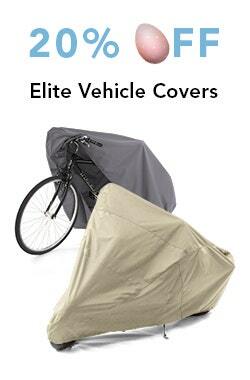 Our best-selling Covermates Elite collection of covers have been designed for consumers who value more in the way of performance and features. 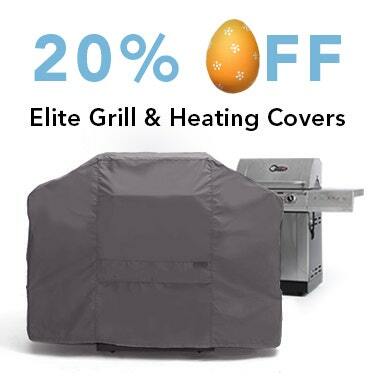 The Elite grill covers are a snap to take off and put on and will keep your grill protected year-round by keeping your grill clean, dry and looking new regardless of the season. Using a combination of buckle straps, our grill covers are snug and secure to where they will not blow off on a windy day. 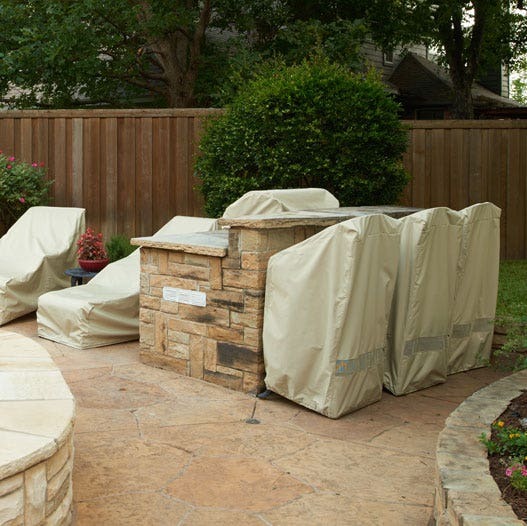 You can buy our grill cover with confidence in knowing that our cover is built to last, and comes backed with a three-year warranty for the material and workmanship. I was very impressed with the quality of the cover. 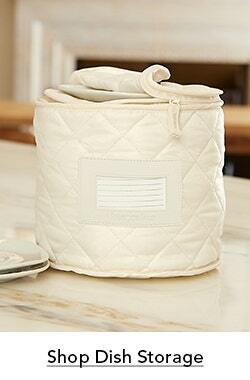 I love that it has the buckle to snap underneath to keep it from blowing off in storms! I would definitely recommend. The Grill cover meets our need very well. The parcel arrived safely and is good value, especially because we could not secure a similar one in Australia. We expect to have a longer use beyond the guarantee period of three years, as the appliance is under cover 24/7. This grill cover fits great. I had trouble finding the correct size. Also the quality is above average. Ordered a new grill cover. Excellent quality and excellent service. Ordered a grill cover and it was perfect. Unfortunately, the tie on one side frayed and the company replaced the entire cover. We are very pleased with the quality and customer service. Thank You. Heavy Duty much better than the one I had originallyWould Highly Recommend ! quality product. substantial protection for my grill which stays outdoors all winter. priced right, particularly when compared to like products at the big box stores. fits very well and made of good material. i purchased the elite model. there are straps on the side and one that goes under the grill to keep the cover secure. included care instructions are helpful. shipping was also faster than expected. We ordered five different covers from the coverstore. Received them very quickly and they were exactly what we ordered and wanted. They are nice, fit everything just perfectly and appear to be covers which will last a long time. We're thrilled and will be ordering more next year. cover is exaxtly what we needed. we have a very large grill and had trouble finding a cover that fit right. this one is perfect! very good quality as well. i really love the cover. i have a 5 burner cooker with a grill on the side. it is even a little more roomy than i expected. i can fit a spare bottle of propaine under it. i like the adjustable draw straps on the left and right sides. the extra length in it keeps the rain from splashing up on the bottom of the cooker keeping my front doors and tools dry. the cover does a great job of keeping the rain out.i only had one problem with it. there is a center strap that goes under the cooker that is a real problem to connect because of its location. I needed a cover for my viking grill, a model that is no longer made, because the old cover, made specifically for this model, is old, ripping, and cracking. 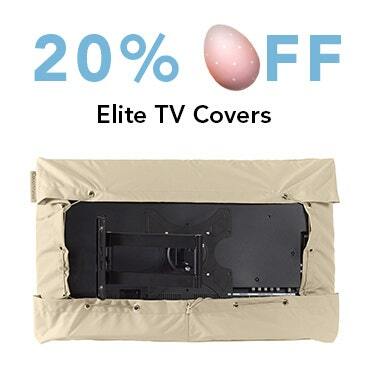 I ordered a cover from the Coverstore, which, due to my error, did not fit. I returned the cover and received a prompt email that my account had been credited. The return couldn't have been easier. On the second attempt to get a cover, i finally got my measurements right. The cover is a perfect replacement for my old cover, and considering that it is not specifically made for my grill, it is truly terrific. I would recommend the Coverstore highly, not just for their product, but because of the professional way they deal with customers. Excellent product quality at a reasonable price. Looking forward to see how it holds up to the ravages of winter. transaction xlnt. in every respect. i am very pleased with the cover. fabric is sturdy but easy to put on and off the bbq. an improvement would be velcro closures on the ends rather than the buckles. order was received promptly . i like the feel and the way the cover fits. he has been through 3 thunderstorms so far and no water on grill. the side buckle straps are very nice and easy to use. very pleased with the cover, i had previously bought chair and table covers and thought they were good enough that i bought one for the grill. the cover looks fine. it is a little long but i can live with it. not as heavy as the weber, but a good replacement. 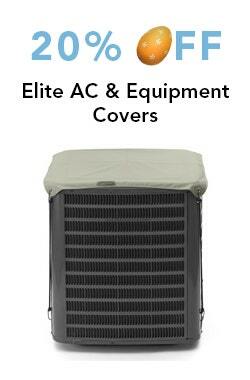 this cover fits our outside grille very well. the only complaint that i have is that the straps will not last over two years in our arizona sun. the first cover lasted two years before the straps started to disintegrate off of it. a new type of material would definitely make them last longer. fortunately the first cover had a 3 year warranty on it, so the second cover was pro-rated with the warranty and only has a one year warranty. 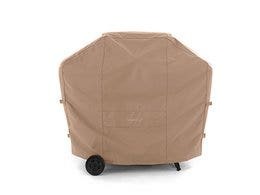 Our first outdoor grill cover lasted two years before the straps started to disintegrate from the hot Arizona sun. We knew that it had a three year warranty on it. 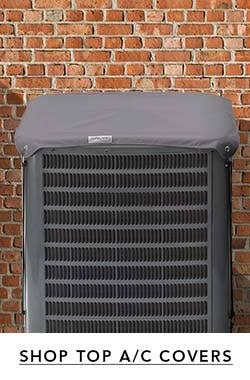 We ordered, received and paid for a brand new grill cover. We started a warranty claim with The Cover Store for the defective one. 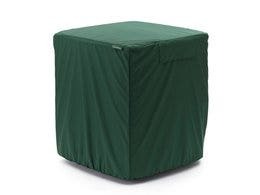 As of this date, we have gotten notice that they have received a brand new grill cover that we had returned to them (they did not know that we had bought a new cover) but as yet we have not received a refund credit for the new cover that we have sent back to them. They have been very fair with this transaction thus far. They even sent us a prepaid shipping label to send the new cover back to them. Very pleased. It fits perfect and the arrival was very fast. Have used you folks for a long time and have always been very pleased with your product and service. As usual the order was fast and on time. The grill cover fits as described..perfect! Great quality, love the color, matches our other out door furniture covers... however to fit the Grill's width, it skims the ground! Otherwise, thrilled w purchase!! I like that it covers my Weber Grill completely, slightly larger than the original but it works. bought this cover after reading the reviews for the original cover for the weber. the material were different and it had no vents. 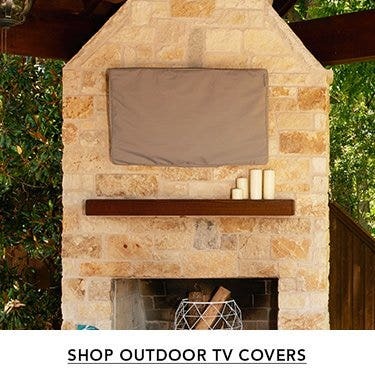 This grill cover turned out to be a better product. 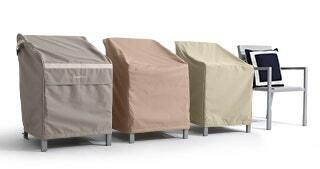 I also have these covers for my patio furniture and I love them even after 2 years and counting. Better than expected! Love the cover and the service/shipping was great! Cover seems nicely constructed. Just hope for durability. I have two grills at two locations. Each one had a thin black plastic (?) cover with a thin white fuzzy lining inside. They both lasted 1-2 years before they began to tear, either at the seam or right though the fabric itself. I duct taped the tears but that only bought a little time. I purchased them for $25-$30 at Walmart. As a protective cover, it needs to last longer than that!I bought the $50 cover from the Cover Store. It was the 'middle' quality cover they sell. I love it! 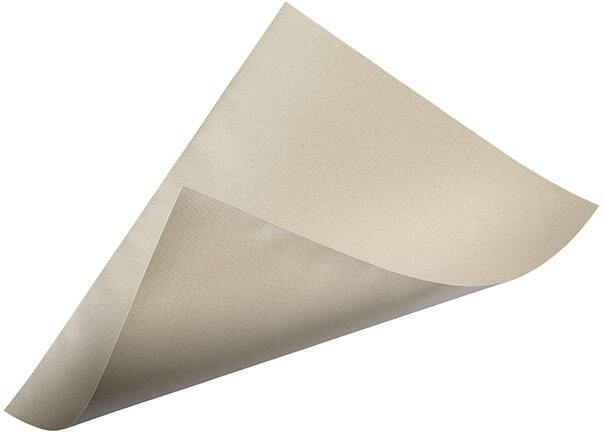 VERY well made and made from great heavy duty material that I know will last for a long, long time. THIS is everything that I wanted in a grill cover! I recommend it without reservation. Wonderful cover. The cover store covers never disappoint. Great quality and fit! A little longer than what I wanted but to get the depth, that was the only size I could find that would work. Otherwise, nice quality cover. exactly as advertised, excellent quality and perfect fit. love the bottom strap that holds it in place during heavy winds (once I added a pull line) great value and I am confident it will survive our winters outside. Excellent cover. Fits well and feels durable!! So far so good. Seems to be one that will not rip and tear just because the wind blows too hard. Material is excellent and it is just the right size for our grill. Thanks. We are very happy with our new grill cover. It fits our grill nicely with extra room to spare. I especially liked the fact that I was able to give you the dimensions of our grill and you were able to supply me with the choices I could make for purchase. It was delivered quickly and we are very satisfied. thank you so much. Love our new BBQ Grill cover. It fit perfectly over our grill. Will definitely use The Cover Store again for future purchases. this cover fits our grill very well and it is well constructed and looks great. Would recommend to anyone looking to buy a grill cover. 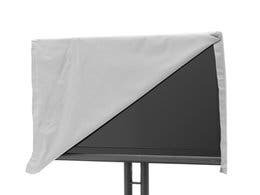 Cover is very sturdy, well made and fits great. Easy to take on and off.